Has a more frustrating phrase ever been uttered in an airport when it’s YOUR flight? It seems to be quite commonplace so far this year, largely because of two major snowstorms that hit the northeast within three weeks of each other, and now because of the freak winter storm to hit the southeast. So far, 7,578 flights into or out of the U.S. have been cancelled according to FlightAware.com, and 19,088 have been delayed. Uh, did we fail to mention that’s for this week? And it’s only Wednesday?? Well, fear not. 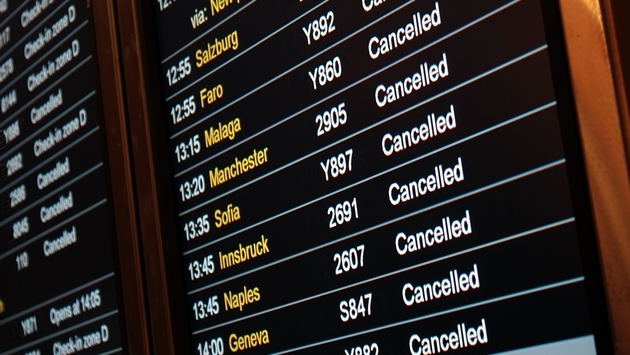 Here are 10 things to do if your flight is cancelled or delayed. 10. Be clear right away on where the fault lies. That’s an important distinction when it comes to flight cancellations and re-bookings. If it’s the airlines’ fault – i.e. a mechanical issue with the plane – there is a “contract of carriage” that stipulates they must put you on the next available flight whether it’s their next flight or another airline’s next flight. If it’s a weather-related issue, it’s nobody’s fault but Mother Nature. And that means that while the airlines are obligated to get you on the next available flight, they do not have to put you on a competing airline’s next available flight. Just theirs. And that might not be for another 12-24 hours. 9. 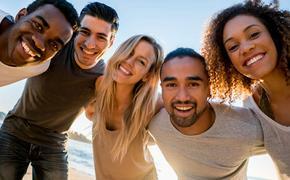 Sign up for travel alerts. This should really be a pre-game ritual and you should have it on your phone already. From the airlines. From an online travel booking service. From your travel agency. Anything that will keep you a step ahead with warnings that a flight is cancelled or delayed. By the same token, you should program all pertinent telephone numbers into your cell as well. 8. Multitask. Flight’s cancelled or delayed? Get in line at the gate and get on the phone with the airline at the same time while you’re waiting. You double your chances of getting help. Whoever you get to first, wins. 7. Ask if the airline has issued a waiver on fees. Many airlines have been kind enough to waive re-booking fees in weather-related cancellations or delays. This saves a fortune when you factor in the change fees, not to mention any possible difference in fare when re-booking on a new flight. 6. Ask about partner flights and different routes. Maybe your American Airlines flight is cancelled; can they get you out on a US Airways flight? Or, is there a one-stop flight available to the destination that you might be able to get on earlier than the next non-stop? 5. Check future flights as well. Your 10 a.m. from Minneapolis to Miami is cancelled? What about the 2 p.m.? Or the 6 p.m.? In the face of these last few winter storms, not only have many airlines just gone ahead and cancelled ahead, some even went as far as to cancel flights the night before. This is helpful because …. 4. Book a hotel room, especially if it’s right in the airport. It’s a gamble, we know, but some hotels still offer the 6 p.m. cancellation deadline even if the room is booked the same day. Hold a room on your credit card. If you get the sense you’re going to be able to get out, cancel by the deadline. If not, you have a nice room to sleep and shower in. Which means …. 3. Take an overnight carry-on with a day’s clothing. Just in case. You never know, right? Especially true if you’ve already checked any bags prior to learning the flight has been cancelled. 2. Be kind to your gate agent. Just a friendly tip we saw in Real Simple magazine. Remember that airline personnel are working to get hundreds of fliers to their destination, sometimes without a break. Doesn’t hurt to ask if they want a sandwich or a beverage that you can grab nearby. 1. Be proactive, not reactive. Ask questions. Make calls. Remember to cancel any hotel or car rental reservations, or at least work with them when you have delays.